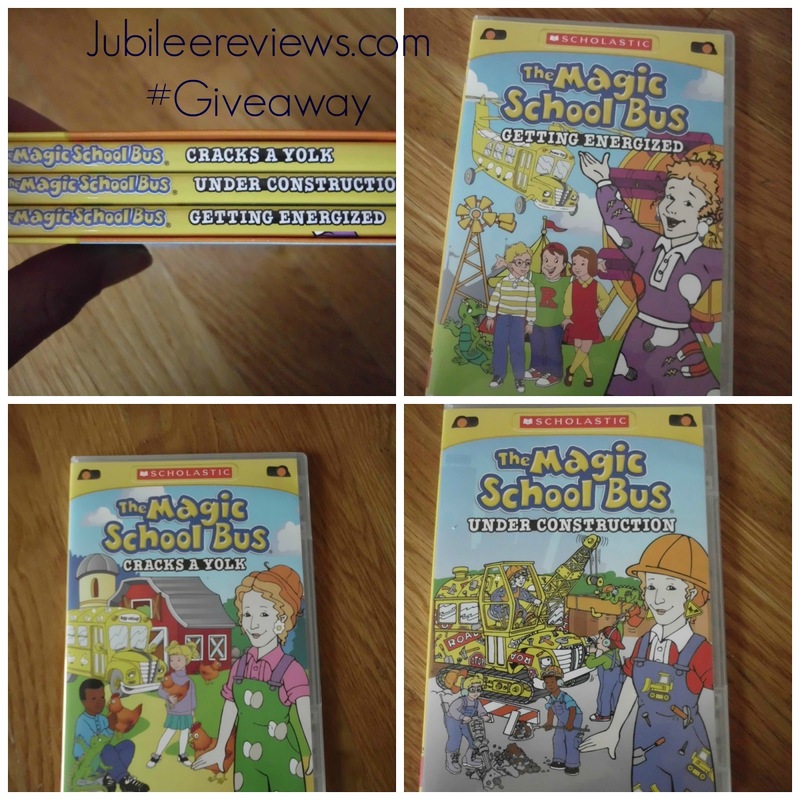 NewKideo presents 3 DVD set of The Magic School Bus Revving Up ! 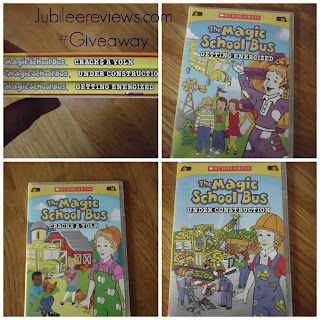 3 fun packed video's of the Wild Ride with Ms. Frizzle. Exciting kids on tv since 1994, Ms. Frizle and her students not only take you on great adventures, she teaches you science as she goes. I remember watching this on the television with my oldest (who is now 18) and he was as mesmerized then as my young ones are now! Now we can relive all of the magical shows through Scholastic and New Kideo. We have really enjoyed as we learn about different science topics in our school day, incorporating a The Magic School Bus episode to go along with it. During our study of Italy we watched the one on Volcanoes as Italy has them. It is so easy to incorporate and utilize the wealth of information that Ms. Frizzle has! My daughter likes the Magic School Bus and Curious George. My kids are loving The magic School Bus on Netflix right now, so they would love this! Other than that, they would like Curious George! Curious George is a favorite so CURIOUS GEORGE RIDES A BIKE...AND A LOT MORE MONKEYING AROUND. Max and Ruby are a favorite. They would like Max’s Chocolate Chicken. I'd love to watch the Scholastic Treasury of 100 Storybook Classics with my kids. cwitherstine at zoominternet dot net Amy W.
Get energized would be nice because of all the lightening storms we have been having lately! Don't let the pigeon stay up late looks like a good one. Magic school bus would be first choice! Then max and ruby. I think they would also love Stone Soup… and other stories from the Asian Tradition. But I know that the Magic School Bus series would be their absolute favorite. Magic School Bus all the way.. they love it. My kids love the Magic school bus and Curious George.